1. 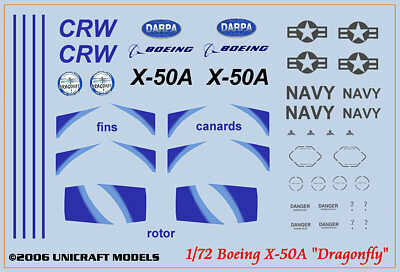 The latest 1:72 kit from Unicraft is the Boeing X-50 Dragonfly UAV helicopter, which comprises 14 resin parts and decals for two variants, a Boeing 'showroom' scheme and a low-viz US Navy version. 2. 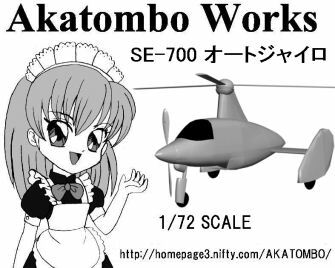 From Akatombo Works in Japan comes another unusual subject in 1:72, the WWII SNCASE SE-700 autogyro. 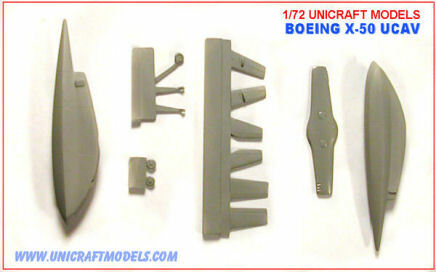 You can read an in-box review of this kit, and see pictures of all the parts, at Cybermodeler. 4. DPMV has a picture of a test shot of Revell's forthcoming 1:72 Eurocopter Tiger PAH2, #04485, which is due for release next month. The moulds from which this was made are still subject to correction and improvements of the detail, including engraved lines, etc. Select 'Aktuell' on the menu. 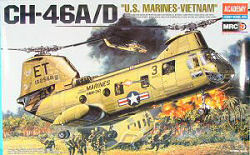 Revell have also announced new 1:72 releases of the AH-1W (#04415, Jan-07), and the Mi-24D Hind (#04405 Apr-07) , both based on the Italeri moulds. The updated NH90 #04489 is now due for release in Jan-07. Yellow 38 is light green-grey with light green-blue camo on the sides and upper surfaces. There are many pictures of this aircraft at airshows. Blue 209 is as above, but with pale green below. Red 66 is light grey with a different (darker?) light grey camo on the sides and upper surfaces, and pale green below. 6. 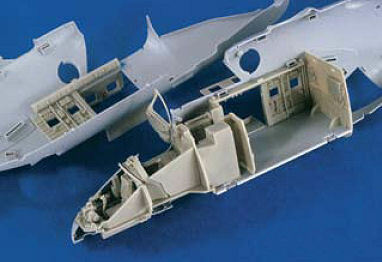 Verlinden Productions have announced a complete resin cockpit and cabin interior for the 1:35 Trumpeter Mi-24 Hind (#2349, Jan-07). 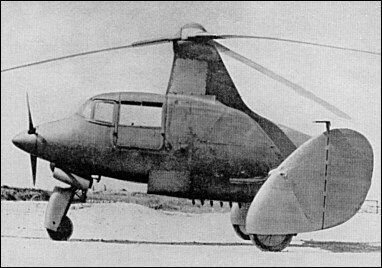 #35-1, Hughes H500 Defender (for Dragon/DML). 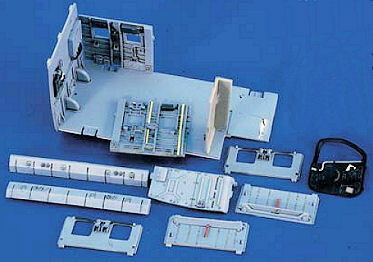 Includes crew doors with chaff/flare mounts, antennas, wire striker and other details. #35-2, H-60 Blackhawk 'Improved Yanshuf' (for Academy #2217). 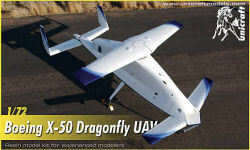 Includes IFR boom, all I.R. Sensors and Chaffe dispensers. #35-3, H-60 Blackhawk 'Standard Yanshuf' (for Academy #any). Includes all I.R. sensors and chaff dispensers, FN mag door machine gun with shell casing bag and photo etched machine gun cradle. 10. HKN has just discovered a major range of decals for Canadian helicopters, CanMilAir Decals. All these decals are available in any reasonable scale of your chosing, and can be ordered in any of three media formats; Alps printed waterslide, Avery clear self-adhesive, and clear self-adhesive vinyl (suitable only for the larger scales). 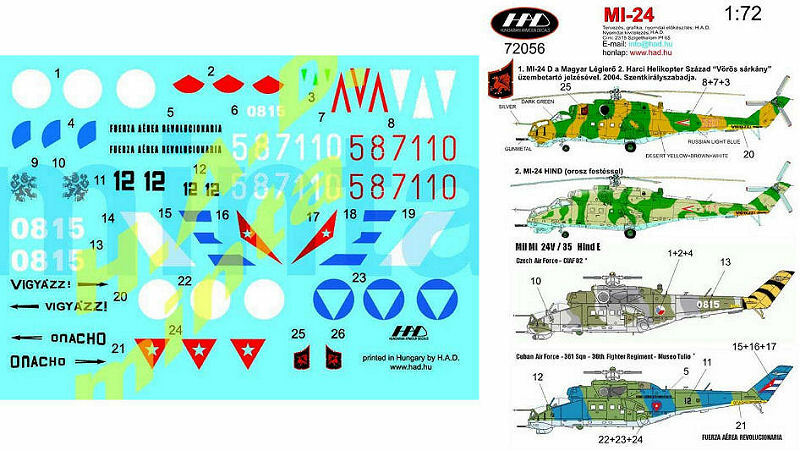 Each decal set comes with a brochure grade 8 1/2" x 11" information sheet containing detailed instructions for use, several reference photos of the subject aircraft as a guide for placing the decals on the model and usually some interesting historical text. #020, CH-147 Chinook 1975-91, two-tone camo scheme of green and grey over grey. All three flag and roundel styles - hi-viz, low-viz and black. Serials for all nine a/c in Canadian service. And as if that wasn't enough, further decal sheets are currently in various states of preparation for the following: RCAF Bell 47, RCAF S-51, RCAF S-55, RCAF/CF CH-112 Nomad, RCAF/CF CH-125 H-34A, RCN HUP, RCN Bell 47, RCN HO4S, CF CH-135 Twin Huey, CF CH-136 Kiowa, CF CH-149 Cormorant, CCG Bell 206, CCG Bel 212, CCG Bell 47, CCG Bo-105. They also publish several very interesting-looking books on Canadian colours and markings. Some of these may be rub-down (Letraset style), with waterslide coming later. Check the HAD website for details. 12. 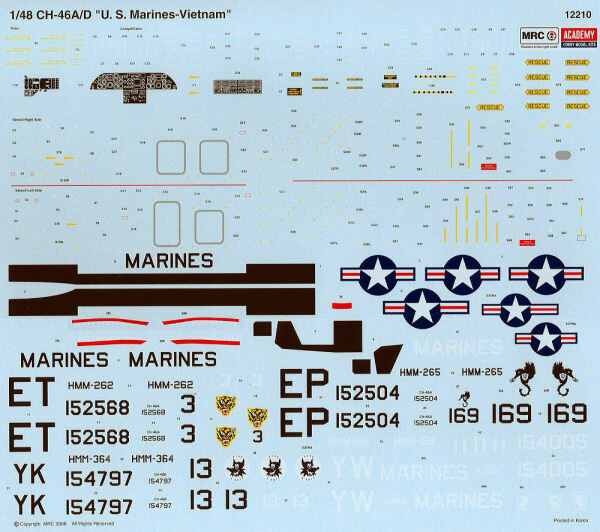 Now released are the MAW Decals #48-MAW-005 'Leatherneck Featherweights' USMC UH-1N & AH-1W sheet (see HKN #222). 13. 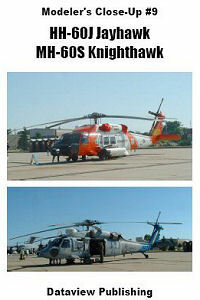 The latest publication in the Modeler's Closeup series from Dataview Books is #9: HH-60J Jayhawk and MH-60S Knighthawk. You can download a copy in PDF right now, or buy it on CD. A printed version will be available later. Thanks to Harold Stockton, and to Bill Burns (CanMilAir Decals. ).